The statements issued by UN bodies against UP encounter killings were brought to the notice of the Court. While considering petitions filed by Peoples Union for Civil Liberties (PUCL) and Citizens Against Hate (CAH) seeking probe into the recent spate of police encounters in Uttar Pradesh, CJI Gogoi said that it was an important issue. CAH, which is an intervenor in the main petition moved by PUCL, today informed the Court of the recent statements issued by United Nation's agencies against the rise of encounter killings in UP. On 11th January, 2019 four UN Special Rapporteurs issued a press release stating that they have sent detailed information to the Indian Government on 15 cases (out of the 17 detailed in the Impleadment application) of police encounters and are awaiting a response. They have called for an urgent review of the use of force by Uttar Pradesh police to ensure all law enforcement operations were conducted in compliance with international standards, for prompt, independent, and thorough investigations into all allegations of potentially unlawful killings and for perpetrators to be prosecuted. "We are extremely concerned about the pattern of events: individuals allegedly being abducted or arrested before their killing, and their bodies bearing injuries indicative of torture," the UN experts said. "We have also received allegations of corruption including the police demanding money to release the victim prior to the killing," they added. On this fact being brought to the notice of the Court, CJI Gogoi said that the matter was important requiring a serious look and posted it to February 12 for hearing. Advocate Prashant Bhushan informed the Court that NHRC is currently looking into 17 encounter cases, and prayed for directing the NHRC to submit a status report before Court. Court said that the issue will be considered during next hearing. Senior Advocate Mukul Rohatgi appeared for the UP Government and denied the allegations of foul play. He said that government was carrying out investigation in accordance with the guidelines issued by SC and NHRC. The PIL by PUCL for court-monitored probe into encounters in UP was filed last July. According to the petition,over 1100 encounters have taken place in the past year, wherein 49 people were killed and 370 were injured. 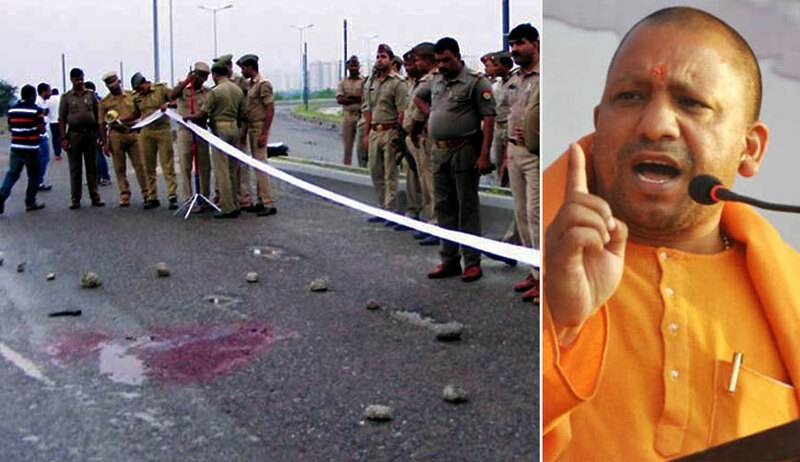 Referring to an alleged statement by UP Chief Minister Yogi Adityanath issued on July 17,2017 that "criminals will be either jailed or killed", the petition states that the Government was encouraging extra-judicial killings. As per the petition, the endorsement of police encounters by the Chief Minister who controls the law and order machinery in the State is not only in violation of provisions of law but also the protection to life offered by the Constitution. The above mentioned statements openly defy the Rule of Law and violate the directions given by the Supreme Court, it said.